If you are dreading selling your Hyundai, or just not sure what the best way to go about it may be, talk to us before you talk to anyone else. We Buy Any Car will buy any Hyundai. Whether your Hyundai has a diesel, gasoline or hybrid engine, or a standard or automatic transmission, we will buy it! If you are worried about the dings, dents, scrapes or scratches your Hyundai has, you can stop worrying. We will buy your car in any condition. Does your Hyundai have high mileage, motor or electrical system problems? We still want it! When you end your search for a Hyundai buyer with us, we will offer you a fair and competitive price for your vehicle, and if you are happy with our price (and we are certain you will be) you could walk away with a check in less than half an hour! We will give you an immediate offer for your Hyundai when you bring it in to one of our convenient locations, or you can enter your vehicle’s details into our handy online form and get an instant quote online. For a stress free, no obligation quote, contact us today or enter your details now to find out how much you could sell your Hyundai for. Since its inception in 1947, Hyundai has produced quality vehicles that are spirited and inspired in design. As the fifth largest car manufacturer in the world, Hyundai vehicles are popular worldwide. Located in Seoul, South Korea, Hyundai sold over 1.7 million vehicles in 2010. 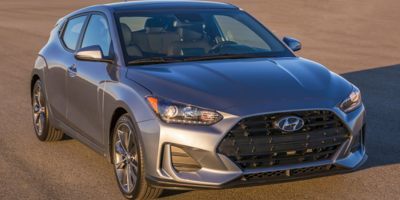 With many consumers seeking cost effective, practical and reliable cars, Hyundai’s popularity has increased year after year, and this looks set to continue into the foreseeable future.